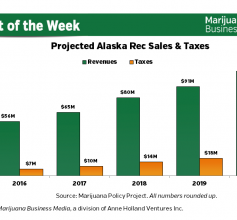 How much can a big holiday impact recreational cannabis companies? 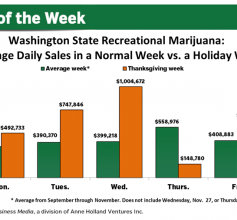 A lot, as evidenced by a breakdown of overall recreational cannabis revenue in Washington State over the course of an average week vs. Thanksgiving week. 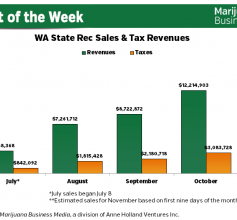 Sales hit $3.65 million during the holiday week this year, up about 30% from $2.8 million for the average week between September and the end of November, according to data from the state. 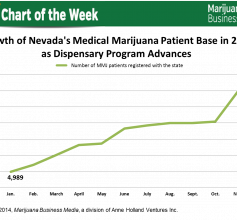 The numbers include sales generated by retail stores, producers and processors. 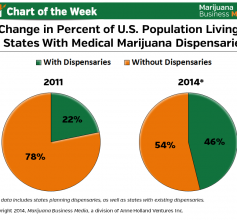 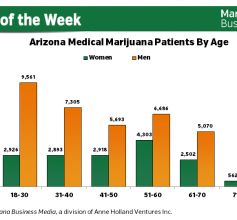 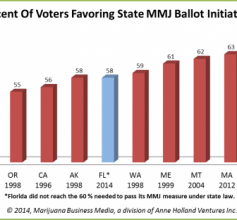 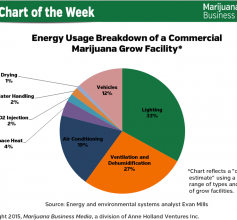 By Jennifer Mann If you want to get an idea of which medical marijuana states offer the best business opportunities, take a look at the density of MMJ patients relative to the population. 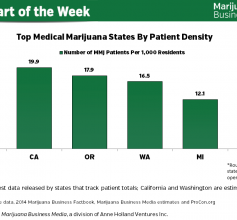 States with a higher concentration of patients often have thriving MMJ markets and offer a more welcoming climate for medical cannabis businesses.